A two-day long fifth Divisional Science and Technology Fair begins in the port city at Saint Placids School premises yesterday . 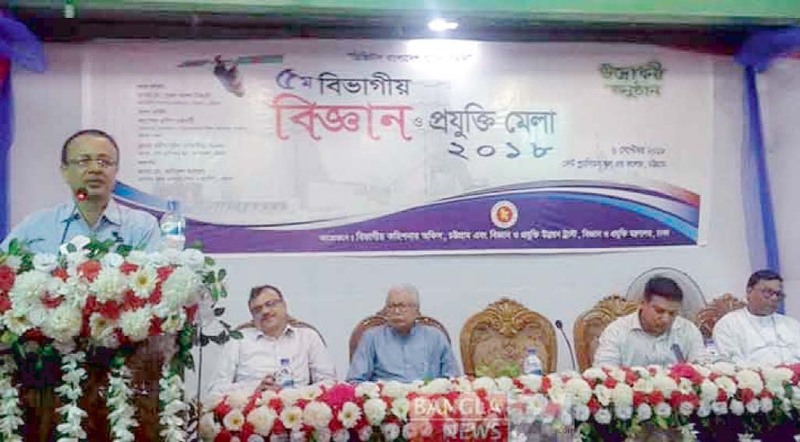 Additional Divisional Commissioner Nurul Alam Nizami formally inaugurated the fair as Chief Guest duly presided by Additional Deputy Commissioner Md. Amirul Kaiser. Among others Director of Secondary & Higher secondary Education Directorate Prof. Pradip Chakraborty , Principal of St Placids School & college Brother Pradip Luis Rozario were present on the occasion.